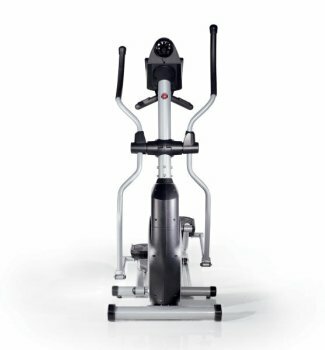 The Schwinn 431 elliptical for 2009 is the new upgrade over the popular 430 model, which debuted back in 2006. It has the same compact features that made the 430 such a hit, but with more programs and a big 25-lb flywheel to provide a smooth, frictionless ride, the 431 is an incredible value. 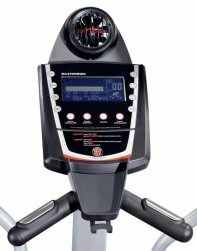 The Schwinn 431 elliptical trainer has a Blue Backlit LCD Display showing Time, Interval Time, RPM, Watts, Distance, Pulse, Speed, Calories, and Resistance. The trainer’s 19 workout programs include Manual, Profile, Calorie Goal, Time Trial, Heart Rate Control, Fitness Test, and Custom. The 431 also feature 3 Feedback programs: Body Mass Index (BMI), Recovery Mode, and Results Mode. UPDATE: The Schwinn 431 is no longer for sale and has been replaced with the popular 430 model. Schwinn, the famous bike brand, is a division of Nautilus, which also make Stairmaster and Bowflex. They aren’t known for ellipticals but the three models they currently make (the 430, 431, and 460) are all solid performers. Trainers give kudos to the upgraded Schwinn 431 because of the expanded programs, the big fan on the console, the heavy flywheel, new rubber padding on the articulating foot pedals, a thicker frame, and the magnetic ECB (Eddy Current Brake) system with 16 computer-controlled resistance levels. It rides smooth and quiet with no wobble, and the BioGlide motion technology allows for a more ergonomic elliptical stride. Schwinn has packed a lot of value into this sub-$1000 machine. If there is any criticism we’ve seen from users leaving feedback on the Schwinn 431 in elliptical reviews, it is in an annoying squeak that sometimes occurs in the handlebars where they bolt to the chassis. This appears to be the result of over-tightening and owners report that a slight ¼ turn usually solves the problem. As with any elliptical trainer, new users need to be advised that all machines require some lubrication and maintenance, just as you would do for a bike, treadmill, or car. In fact, the only negatives we have seen on the Schwinn 431, have come from people who were inattentive to basic assembly and maintenance issues. At $999, the Schwinn 431 is $200 more than the 430 model — although we’ve seen the 431 elliptical on sale for much less. Whatever the price, the upgrade is worth it. The 25-lb flywheel is the largest you will find on any sub-$1000 machine, making Horizon’s 14-lb flywheel machines look girlie by comparison. The frame is thicker and heavier than the 430, an improvement which may have resulted from observations that the 430 unit wasn’t stable enough for heavier users. It won’t be long before the 431 begins landing on many Best Buy lists. 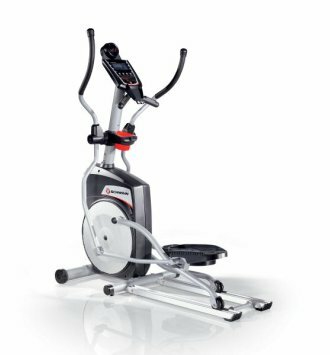 The Schwinn 431 Elliptical is a solid, quality machine and worth your consideration.